Instagram is one of the most popular social networks in the world, with 500 million monthly active users and as many as 300 million daily active users, and the numbers just keep on growing year by year. The popular photo-sharing social network is not as easy to use or straightforward for digital marketers and businesses as Facebook or Twitter are, however. 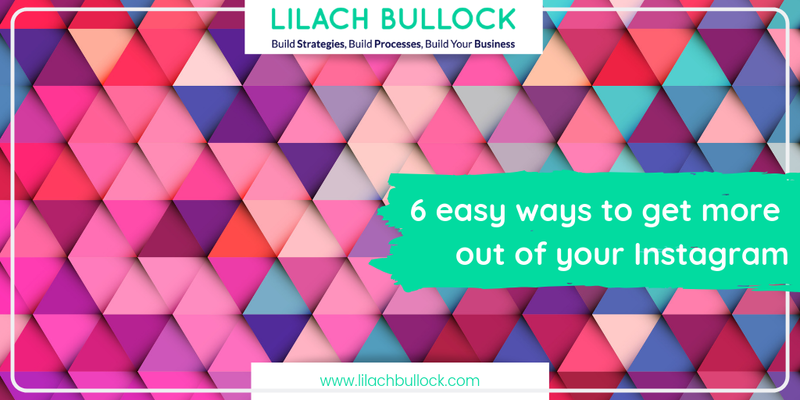 Finding ways to drive traffic back to your website is more difficult, updates require careful planning and a good dose of fun and imagination and there aren’t as many useful tools to help you publish to Instagram and increase your results. That said, with the right strategy, Instagram could bring in amazing results for a lot of different businesses. In fact, people are more likely to respond positively to business presence on Instagram then most other social networks. A good Instagram strategy should employ both photos and video. Video, in fact, tends to lead to more conversion rates than images do, and since their length is so short, an Instagram video doesn’t require that much extra work. And in fact, it can even be a lot of fun to create short videos. 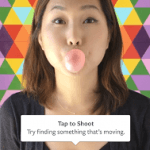 Try Boomerang for Instagram to create short videos that loop, Hyperlapse for stunning time-lapse videos and Cinefy for editing videos like a pro. Hashtags are extremely important on Instagram. If you want more likes, followers and conversions this is the first step that you should take – add hashtags. You’ll find that people are searching for anything and everything on Instagram, and I wouldn’t be too surprised if you’re getting likes at 3 am for some obscure band, or hobby, or whatever else you can think of really. Try to include trending hashtags wherever possible, or see if you can create images or videos related to trending topics. This can help you boost your follower and like numbers. 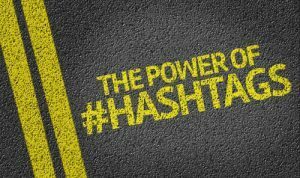 There are plenty of tools that you can use to find trending hashtags, such as Hashtagify for trending hashtags and hashtag ideas, and Keyhole and Tagboard for tracking them. A good Instagram strategy requires quite a bit of planning. If you simply leave it be and just take photos and videos when you see something you think might be worth a shot, you probably won’t get too far. Planning your content carefully however can help you get more likes, followers and clicks, while also helping you save time. Try out different types of photos and videos to see what works and what doesn’t, and then adjust your future posts accordingly. By planning your posts, you’ll also make sure you never miss a day and that you’re consistent with your social media. 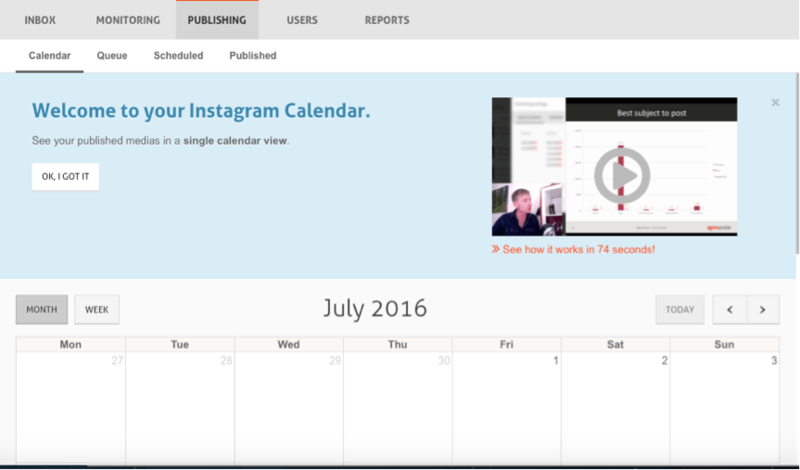 An Instagram content calendar will also help you save a lot of time. Instead of having to stop and think of things to post several times a day, try brainstorming ideas once a week with your team. Of course, this doesn’t mean you should forget about spontaneity. Whenever you see something cool that you think your followers might appreciate, take a photo or video. There are a plethora of tools available, a lot of them free that can help you maximize the potential of each and every photo or video you take. Tools can help you edit your photos so that they are more beautiful, more compelling and more eye-catching. Canva – this is my favorite photo editing tool lately. I use it to create images and other designs, and it can also be used for adding filters, icons and most anything you can think of. Pablo from Buffer has over 50,000 royalty-free images that you can choose from, and it also allows you to add text in different fonts and colors and upload your own images and logo so that you can create awesome branded images. Snapseed from Google is another great one with apps for both desktop and iOS and Android devices. It’s a very powerful editing tool that is surprisingly easy to use considering its capabilities. 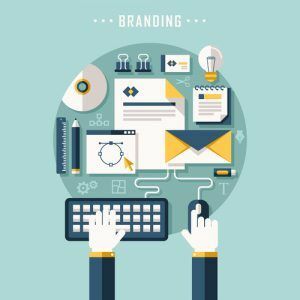 Brand consistency is always very important, whether it’s online or offline, and it’s especially important for a visual medium such as Instagram. Think of what you want your brand to inspire on Instagram and then set guidelines for every member of your team who posts on Instagram. Think of what type of content you want to publish, and what is off-limits, what you want your images to look like, if you want specific filters used and if it’s consistent with your other branding. Instagram, while having a lot of photo and video editing available, doesn’t fare as well when it comes to other types of tools. At least, not as well as Facebook or Twitter, for example. And, especially in contrast to Facebook, Instagram requires a lot of daily attention. If you want to be successful, then you’re going to have to post several times a day, which can be very difficult as well as time consuming. One way to make this process easier, and also make sure you are always posting new content, is to use a scheduling tool. I mentioned earlier in the post how important a content calendar is when it comes to Instagram. And while that can help you save a lot of time, the ability to schedule all of these posts will help you free up so much time you won’t know what to do with it. There aren’t that many tools that you can use to schedule posts for Instagram, at least not like there are for Twitter. In fact, generally Instagram requires a lot more hands-on attention than most other social networks. One tool that you can use to schedule photo updates on the popular photo-sharing social platform is Agorapulse. 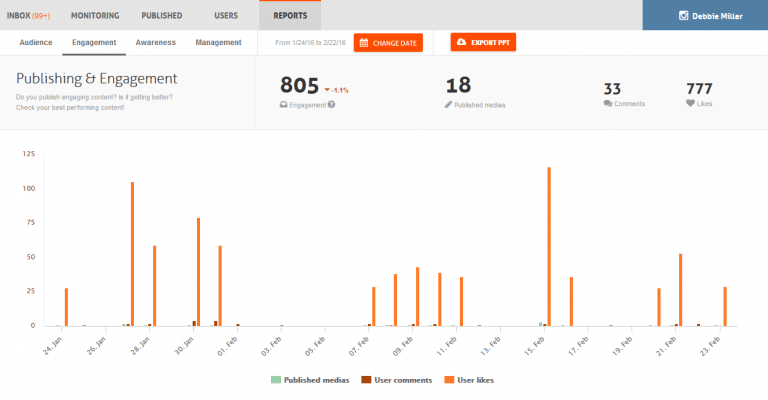 Agorapulse is my favourite social media dashboard so their latest feature is very welcome! Scheduling updates for Instagram is extremely easy: create the image as normal, using your computer or phone, then simply login to your Agorapulse account and schedule each photo for when you want them. When it’s time for your post to go out, Agorapulse will send you a notification on your phone, and all you have to do is go to Agorapulse, click on “publish now” and “copy to Instagram” and then go through the regular Instagram photo-posting process. It’s as easy as it gets and it will help you save a lot of time, while also making sure you never forget to post all the updates you need to. It’s definitely a more time-consuming process than it is to schedule posts for any other social network, but it doesn’t get any easier than this. You can also use Agorapulse to see which posts work best and at what times they get the most engagement. This will then help you create better scheduling timetables for your content, so that you maximize your results. Simply go through your analytics and make notes of when the best times to post updates are and then use Agorapulse to schedule your photos and video posts at those times. You will be able to check what is in your queue, what’s been published already, as well as a comprehensive calendar where you can see what’s scheduled for each day. You can also add as many team members as you like so that everyone can schedule and post on Instagram using Agorapulse. Instagram has always been different from most other social networks with their various restrictions when it comes to businesses. It is however an extremely useful tool for marketers, and businesses of all types. What do you do to make sure you make the most out of your Instagram account? Which tools do you use? Let me know in the comments section below! I use Buffer for uploading content to all my socials. 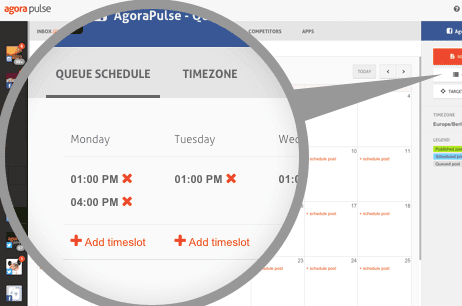 I haven’t used it for a while but it has an Instagram posting scheduling feature similar to the Agora Pulse one you mentioned. Didn’t work very well at the time from memory but I might give it another try before checking out Agora Pulse. Thanks James 🙂 Buffer is great and very easy to use. I like Agorapulse as it has everything there for me so it means I don’t have to use multiple tools – saves so much time! Great, i’m wanting to figure out how to gain followers using hashtags and will check out the sites you recommend. Really loved your idea of scheduling the post I was not aware that scheduling a post is that necessary. Thank you for haring, keep posting.